The Applied Technologies Company has presented a prototype of a floating wave power station used for generating wave power electricity, at the Open Innovations Forum. Company director and co-owner Sergey Temeev told Invest Foresight about the ambitious project. The Applied Technologies Company, Ltd was established in 1991 and belongs to the father and son Alexander and Sergey Temeev. Alexander holds 90% of shares, while his son Sergey owns 10% (according to the Kontur.Focus service). Sergey Temeev graduated from the Moscow Aviation Institute and holds a Ph.D. in Engineering. Before developing a wave power station, or a wave farm, the entrepreneur was engaged in designing excavator teeth for the Japanese company Komatsu, and also worked for a large Japanese manufacturer of home appliances whose name he did not reveal. Alexander and Sergey’s company has been engaged in developing a wave farm for almost a decade. During this time, it received some $2 mio in investments, including from the Skolkovo Foundation, the Russian Venture Company and the MariNet National Technology Initiative. But they require $4 mio more to finish the project. There are about 40 companies in the world that work to use sea waves to produce electric energy, but the technology developed by Applied Technologies is unique. “We were the first in the world to create a buoy wave power station, nobody has done this before. The facility can operate under any wave intensity and direction, even when the waves are very weak. It can be used in any water body,” says Sergey Temeev. The company has received a patent for the technology. A wave power station is a floating device, a buoy, made primarily of steel. It is moved up and down or back and forth by waves and its motion is used to drive an electric generator. Electricity is then delivered to customers via a cable. The buoys are either anchored or attached to a vessel or an oil platform. The buoy is leakproof, does not produce any pollutants and thus provides clean energy. According to the International Energy Agency, the potential global market of wave power devices is over $800 bln. The wave power buoys vary in shape and size. They can be up to 18 meters long and have a diameter of up to five meters. One device can have a capacity of up to 50 kWh. The capacity of the very first prototype was just 2 kWh. Wave power farms can be used as electricity sources for light and radio beacons, emergency and life support equipment, as well as meteorological systems, global and regional communications, navigation and telecommunications systems, for charging unmanned vessels and drones, etc. Several buoys can be assembled in modules and their combined capacity will reach several megawatts: such power stations can provide electricity to an entire island village. Given that one house consumes about 3 kW per hour, one buoy with a capacity of 50 kWh can provide energy to a village of 16 houses. The cost of one kW produced by a wave farm is $3K. The prime cost of a 10 kWh-module is $30K. Its commercial value will depend on the demand. A buoy wave power farm can serve for 20 years, which is comparable to ships. According to Sergey Temeev, many countries and agencies are interested in the new power stations. 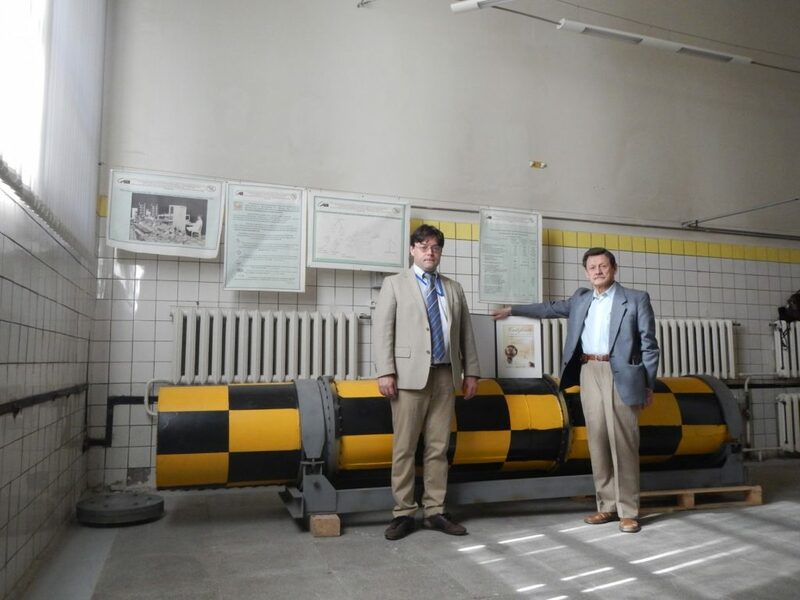 Thus, the Russian Navy, the British Department of Energy and Climate Change, Pole Mer PACA (a French company supporting innovations in shipbuilding and marine energy resources), the Norwegian company Runde EC, Greek-based Appolo Capital Groupe and the administration of the Kuril Islands in Russia’s Sakhalin Region are interested in purchasing a buoy wave power station.